Hello friends! Welcome to our October Introductions as we reveal our new products one by one along with a little project to get your creative juices pumping! Today we are showcasing Holiday Lights which my graphic loving heart is especially fond of. If you've been reading this blog for awhile, you'll know that I'm all about quick and easy cards, with an impact. yeah, I know, string lights have been done before, so we thought long and hard about adding a little twist to our version. the string and lights are separate so you can really play along with any color combo. 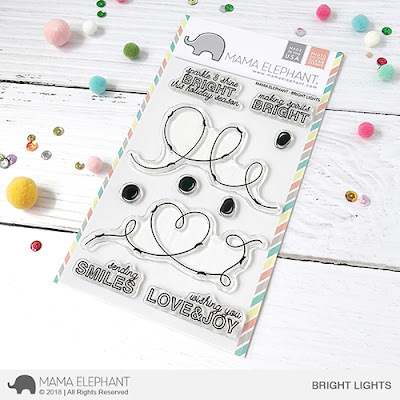 Stamp the lights with our yummy line of Pigment ink colors. So fast and simple, i whipped up a set of 6 clean and simple cards in under 10 minutes. This next one is more obvious, the strings form a heart shape. See the little shopping bag? 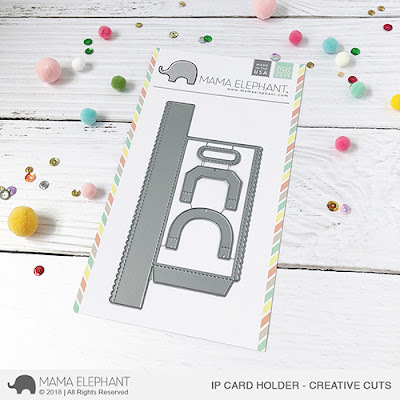 That's created with the new Inside Pop - Card Holder die set! It comes with 3 optional handles for the mini baggie! The card folds completely flat when closed. What a neat surprise, perfect for handing out gift cards this holiday season! Isn't it all so much fun? Thanks for joining me today! Great minds think alike.. I just just that tri window die on it's side like that! Beautiful cards Kryssi.. Love the pop up gift card element. Oh My!!!! These are Awesome!!!! The lights are great! I love the fun little "secret message." Those lights are THE CUTEST!!! GREAT set! And love the gift card pop-up!! I have never a pop up card like this, that is so cleaver. Christmas lights are also really cute. LOVE the gift card holder die!!! Fabulous idea for holding giftcard, loving the bright lights.